Na Fianna GAA club will lose a station but will not be forced to surrender playing pitches for up to six years to accommodate construction of the €3bn MetroLink system. Proposed changes adding at least €100m to the bill for the light rail system will also see plans for an interchange station at Charlemont near Ranelagh scrapped, with the line instead continuing farther south to Beechwood before it emerges above ground, the Irish Independent has learned. Transport planners may also avoid having to buy and demolish a 70-unit apartment block called College Gate on Townsend Street, by altering the route of the underground rail link in the city centre. A meeting was held with residents last night. The changes are being considered in the face of mounting public opposition. MetroLink will run from Sandyford in south Dublin to Estuary north of Swords with a total journey time of just 50 minutes, connecting with Dublin Airport and Irish Rail services along the route. Designed to carry 15,000 passengers an hour, much of the line is underground, but the massive construction project would involve demolition of more than 100 homes, and closure of some roads. The first major change involves construction of a station called Griffith Park on the northside, which was proposed on school pitches on the Mobhi Road and on lands owned by one of the city’s biggest GAA clubs, Na Fianna. The land was also to be used as a construction compound for up to six years, but the club said the move would result in a generation of young players being lost to the sport. It undertook a campaign of opposition which included contributions from celebrity architect Dermot Bannon, Dublin GAA players including Jonny Cooper and Taoiseach Leo Varadkar who said an alternative should be found. Transport Infrastructure Ireland (TII) now proposes using lands owned by Home Farm Football Club, which will receive more than €5m in compensation as a result. Na Fianna will lose the station. There are also plans to move where Metrolink comes above ground. This was originally proposed to happen at Charlemont, which currently serves Luas. A station would be constructed, allowing passengers to transfer to Luas Green line services or continue on Metrolink to Sandyford, but the proposal was met with public opposition, with claims that closing roads to segregate the high-speed line would impose a ‘Berlin Wall’ on the upmarket community. It is understood that among the options being considered is to bring the Metro above ground at the Beechwood Luas stop further south, but this would add at least €100m to costs. Sources said the planners were currently assessing the additional cost of extending the line to Beechwood, and changes on the northside. This would take into account the cost of buying properties and compensation which might arise from the changes, as well as any possible legal action aimed at stopping the project which might arise. “It could be more than €100m to keep tunnelling,” one said. “If you don’t tunnel, what’s the cost? If you do tunnel, what’s the cost? Will it offset the land take and legal costs that might arise? But there will have to be justification for this,” they added. Government departments and politicians have been briefed on the proposed changes, including political advisors to Housing Minister Eoghan Murphy – whose constituency includes Ranelagh and Townsend Street which accommodates the College Gate apartments – and Taoiseach Leo Varadkar. TII refused to comment, saying a decision would be made in the new year. It will take six years to build the 26km line, which will link with Irish Rail services at Tara Street and Glasnevin, connecting with services to Maynooth/Sligo and Hazelhatch/Kildare. Dublin North-West TD Noel Rock welcomed a report on new MetroLink plans as a good development but added all concerned would be keeping a close eye to proceedings. “Under this draft proposal, there will be a stop constructed beneath Home Farm’s pitch with an 18 month build. Practically, instead of a six-year construction project involving all of the space at Na Fianna, there will instead be an 18 month construction period on a much smaller site beneath Home Farm FC. “This solution came about thanks to the flexibility shown by many and to their credit. 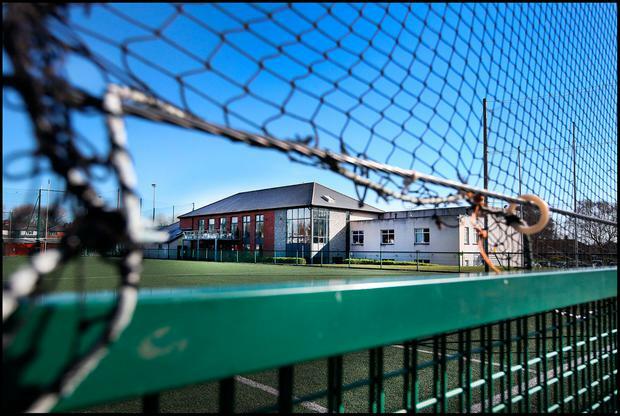 It’s important we make sure Home Farm are looked after during these 18 months of construction, Everyone knows of Home Farm’s historic contribution to Irish soccer and how many underage players they have catered for. They are an intrinsic part of Irish sport and long may this continue,” Deputy Rock said. “Schools will be able to operate absolutely as normal during this period. I will hold the National Transport Authority to account on this.